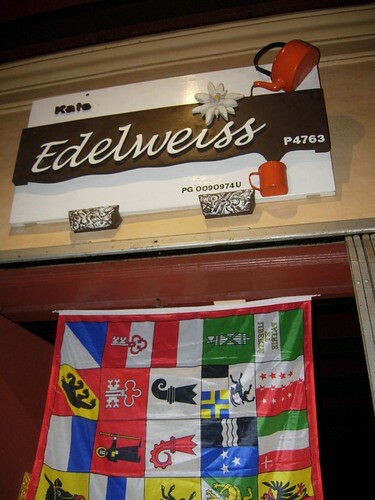 Edelweiss is a Swiss flower. It is also a little, cozy restaurant in this old building that used to be a Chinese family home. I am going to do a review here on my personal blog instead of my food blog because the owner used to be my former colleague. Yesh! a Swiss angmoh! His wife, Teresa and daughter are running the restaurant. Urs Capol used to lend me his little cubicle to cry my eyes out when my German boss scolded me when I was 18 years old. So, there. Special treatment, biased food reviews. 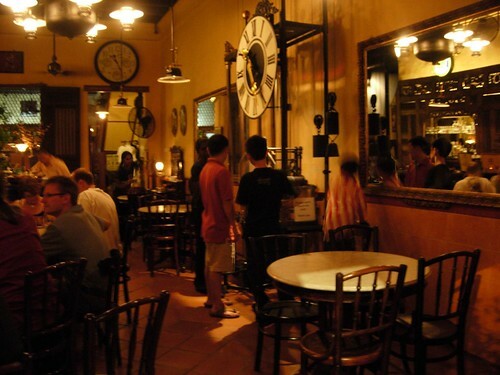 Antique, priceless, rustic, warm….It is the kind of restaurant I like. The narrow Chinese style house turned restaurant has an airwell in the middle. The set dinner is rather cheap. 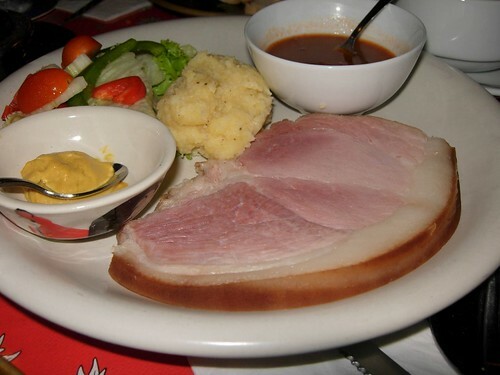 This plate of gammon ham (i.e. 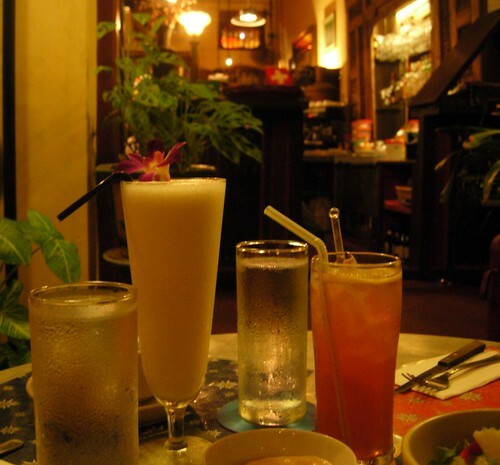 piggie’s leg) with a drink and dessert costs only RM24.90. 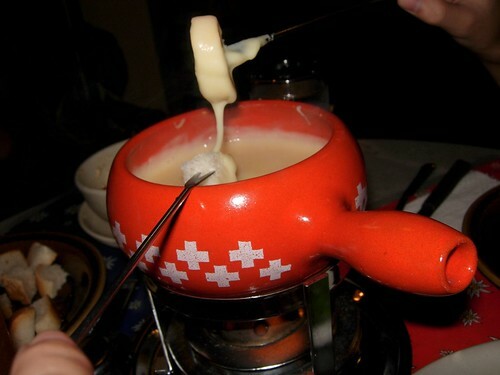 We tried the Swiss cheese fondue which costs RM75+. Urs said it is the original Swiss style made of three kinds of cheese and white wine. Many local people are not used to the taste but he said, “Oh well, this is how it is done in Switzerland, so…” Shrugs. So, if you are adventurous, do try it. If you are not a cheese lover and cannot stand alchohol, skip it. A pot like that is enough for two persons but three of us, i.e. my hubby, my 15 years old son and I have problem finishing it. It comes with cube french loaf. 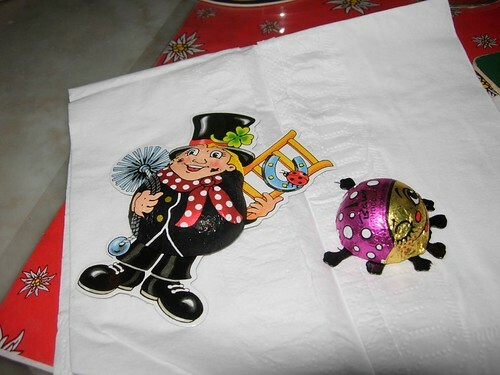 The cute, Swiss chocolates given to my kid. We also had some dessert but I forgot to bring my memory card so I could take only 15 photos with the built in memory. Never mind, I will go back again. They have a range of cocktails, beer and Schnapps with coffees. I tried a few cocktails. Hic, hic, hic. Basically, I only had the cheese fondue with lots of Jack Daniels, rum, vodka, gin, tequila…..
Armenian Street is one of those little lanes around the Penang heritage trail. Do find time to explore the area because there are many heritage buildings and lots of beautiful and unique restored houses to see. Hey, we are celebrating Merdeka so do walk down memory lane and appreciate the beauty of the remnants of our past. Yes, you’re right, the ambience is good. I’ve never even heard of American Street after living in Penang for years! I’ll try to locate it at Google Map. OMG I’VE BEEN THERE, irregardless. i had a nice teh tarik with doritos cicah kuah air asam [the ikan bakar wan] there for my USM Arts Ed ECXC project. we lepak around old town area!! hat place very the happening la! Must try it when i go penang after i finish all my treatment ^^.